Is Farm Living the Life for You? I've been away from the blog for a few days, and it would be nice to be like a farmer and blame my inability to get work done on the weather (I can stay that because I have a few farmers in my life:)). It has been a fun week for real estate in the Wayne area! I had an opportunity to list a great acreage containing between 9 and 10 acres northwest of Wayne (we are still waiting on the survey--the surveyors are blaming the rainy weather for not getting work done, too!) The owners of this acreage purchased a home in Wayne last fall, and it was a great pleasure helping them find a home in which they could "officially" retire from the farm. I have really enjoyed getting to know them, and I am honored that they have entrusted the sale of their life's work and family farm to 1st Realty. As we were sitting at their kitchen table on Monday morning enjoying a cup of coffee and the best rhubarb coffee cake I have ever eaten, I asked them how long they have owned the acreage. After thinking about the timeline of events in their lives and playfully disagreeing about a couple of dates, it was finally determined that this acreage has been their home for over 50 years. These days, the thought of owning a home for 50+ years is almost unheard of! It is fun to think of all of the things the walls of that farm house and those rustic barns have seen and heard throughout the years. I'm sure if the trees in the grove could talk, they would tell stories of children building forts and whispering secret plans for hideouts during a game of hide and seek. This is truly the type of place that would make a great home for somebody in the next 50 years to come! In addition, I made a trip to Carroll this week to list another acreage on the west edge of town. This property consists of 4+ acres and includes a nice ranch-style home as well as a horse barn that was moved to the property a couple of years ago. The owners have taken great care of the property since they purchased it through our company over 5 years ago, and it was fun to see all of the improvements they have made such as new vinyl siding, a new roof, newer floor coverings, and a bathroom/kitchen remodel. The entire property looks absolutely wonderful! The pride they have taken in home ownership is truly evident in all of their hard work! If you are thinking that farm living is the life for you, give me a call and see what the next 50 years might have in store! At 9 p.m. last night, the mood struck me to clean out the closet in my master bedroom. At 10 p.m., I said to myself, "What were you thinking!" Cleaning closets is the type of thing that I have to be inspired to do, and if I didn't do it then, it wasn't getting done at all. The timing of these moods are few and far between so you can about imagine the task that I was in for! My organizational piles consisted of: 1. out of style; 2. too small/too large; 3. worn to rags; 4. farm clothes; 5. "maybe" I can wear this again and 6. what was I thinking! My brother will be getting quite a compilation of colorful grease rags during the next few days. Anybody in need of quilt blocks better get their order in now or it's being shipped out to the shop where the fabric will be destined for greasy handprints, wiping sweaty brows, and plugging holes in engine blocks until there is time to finish the project. The "maybe" pile (which just might be large enough to clothe a village in Africa) is being transferred into totes where it will reside in my basement until I decide in another three years that I really wasn't going to wear it again after all. By 10:30, I finally had a sliver of my bed cleared off where I could sleep. The reason I'm sharing this with you (especially home sellers) is because I feel your pain when it comes to getting your home ready to sell. It is no easy task to tackle a project such as cleaning out a closet that hasn't been touched in five years. So, this is my salute to those of you that tackle the tough closet cleaning projects! On the bright side, you just might find 20 or so clothes hangers for which you have been desperately searching! I had the pleasure of welcoming Tony and Jodene Cantrell to their new home at 1210 Douglas Street yesterday morning. Their excitement was contagious as they signed their paperwork and I handed over the keys to them after the closing. One of the best parts of our experience was the first encounter I had with the couple. It's actually a funny story about mistaken identity that happened prior to meeting Jodene and Tony. Some folks in town say that Jodene and I have similar features. One night while the Cantrell's were grocery shopping, a lady approached Jodene and asked her how her showing went in Carroll. Confused, Jodene told her that she must have her mistaken for someone else, but the lady persisted that Jodene had just visited with her that day about the real estate market and a listing that she had over in Carroll. To make a long story short, this sweet lady had confused Jodene with me because of our physical similarities, and she wasn't the only one. Fortunately, that story provided a great icebreaker for Jodene when she contacted our office to arrange a showing of the home that they now own. I remember her saying, "Well, even if we don't end up buying anything, I just have to meet this 'Trisha Hansen' who everybody is confusing me with!" And the rest, as they say, is history! Welcome Home, Tony & Jodene! It's a Crazy Time of Year! Three new listings are hitting the market this week, and I can tell by the tornado of papers and files laying on my desk that there hasn't been much time for "organization" the past two or three weeks. Thank goodness our office building has a conference room where I can meet with people! It has been a busy spring (or did we just jump directly into summer considering the recent temps) between listings and sales as well as Wayne State graduation and student move-out last weekend and Wayne High School graduation this weekend. There have been many new faces popping through our door which should be encouraging to those on both the buying and selling end of the spectrum. The pace of Wayne's real estate market in recent months is definitely a sign of many good things to come this year! 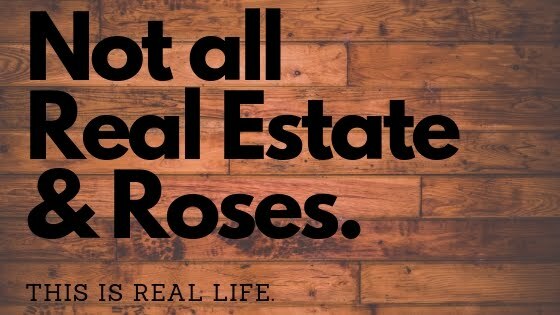 The same holds true for other communities as we have seen strong activity with our Wakefield, Laurel, and Carroll listings during the past few weeks. On Monday, I had the pleasure of welcoming some buyers into their new home at 713 Cedar Avenue in Laurel. 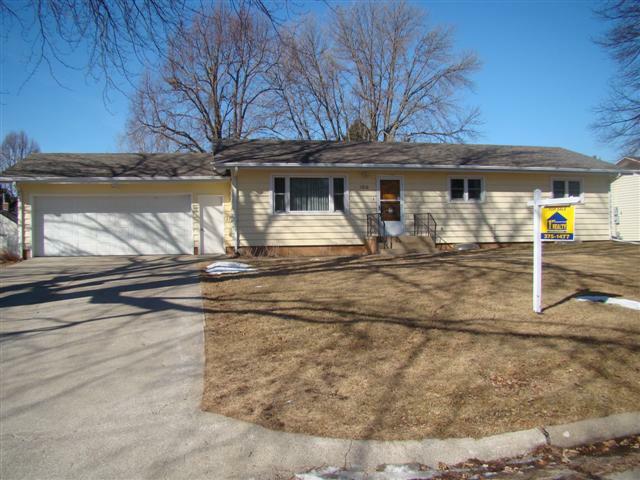 This 3-bedroom, 2 bath ranch-style home will definitely make a nice landing spot for the couple that purchased it as they relocate into town from the farm. In addition, it is great to have so many excited home buyers searching for and preparing to buy a home for the first time. I always enjoy working with first-timers because they have so many fresh perspectives and ideas about home ownership. I love to see the changes that they make to homes to reflect their own personal tastes. It is rewarding to hand over those keys and be the first to tell them, "Welcome Home." Finally, I want to wish all of the area graduates much success in their future endeavors as they prepare to graduate this weekend. Excitement fills the air as so many plan for what lies ahead. (Not to mention that many of you may be purchasing your first home before long as well! ):) Good luck! I spent this past weekend with my brothers and a couple of friends removing and installing siding on the west side of my home. Thinking back to the hail storm that we had in March, it seemed like such a daunting task to find matching siding, line up the help and get the work completed. Honestly, it only took us about five hours total from start to finish, and everybody had a lot of fun doing the work! There were some points during the day that we had a few more bosses on the job site than construction workers, but that comes with any major project. At the end of day, we were all able to stand back and say that we had a part in getting the job done. One of the best things about owning a home is that you can take pride in the work that goes into the property. Being able to come home at the end of the day and enjoy a comfortable place to hang your hat is a feeling that can only be experienced rather than expressed in words. I am a proud homeowner and, if you don't already, I hope that you can all share in that feeling someday!